Christmas is LITERALLY just around the corner and it excites me so much because to me, Christmas is pretty much the funnest season to play with make-up. Everybody's on a festive mood, more or less, and it's cold so it's not icky to layer on some color and powders and creams, etc. 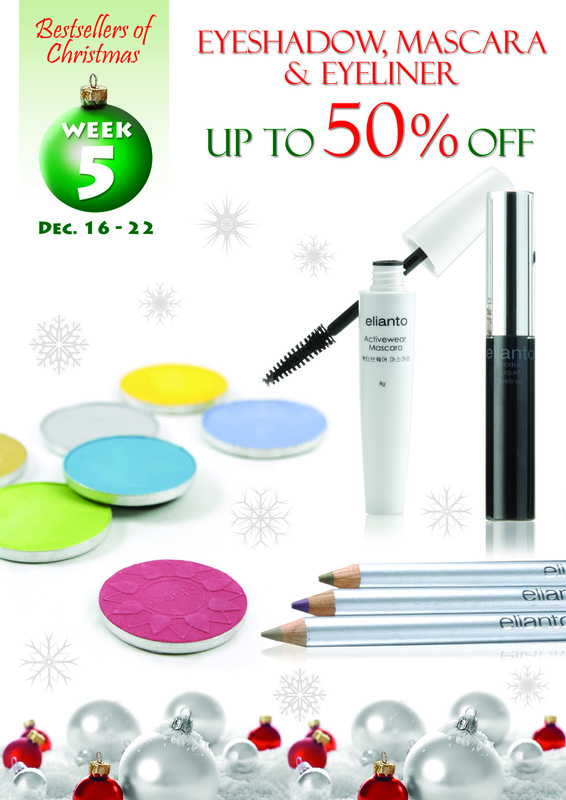 This week tops my excitement because Elianto eyeshadows are on SALE. This is super great news for those who are thinking of personalizing their make-up kits since Elianto palettes (sold separately) can be filled up with shades of your choice! You don't have to buy different palettes just to have all the colors you want. Elianto have pretty cute eye shade holders ranging from four to I believe six shade palettes so it's really practical and fun to create your own set using Elianto eye shadows--which again, are on SALE this week! 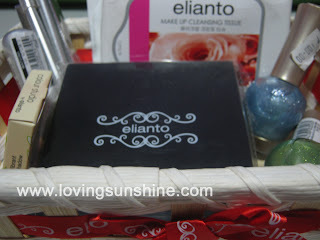 I prefer Elianto's pearl shadows because they're shimmery and are very silky when applied. 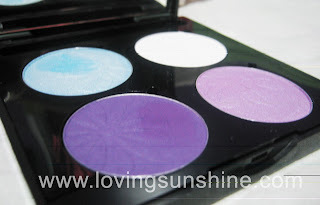 Of compared to the vibrant eye shadow line, the pearl shadows come in lighter shades and tones, but to me it's an advantage because not everyday's a party so the pearl eye shadows are a more practical and even convenient choice. Here's also a sneak of my (not so older) personalized eyeshadow palette using Elianto shadows. :) What are your thoughts in my color selections? Please comment and click the HUG button at the bottom of this post if you like my selections. My make-up cheat sheet definitely uses shimmer sticks. When I feel lazy and I just want a little color on my face, I skip almost everything else, give my brushes a rest, and just line my eyes with shimmer sticks or colored eyeshadows. 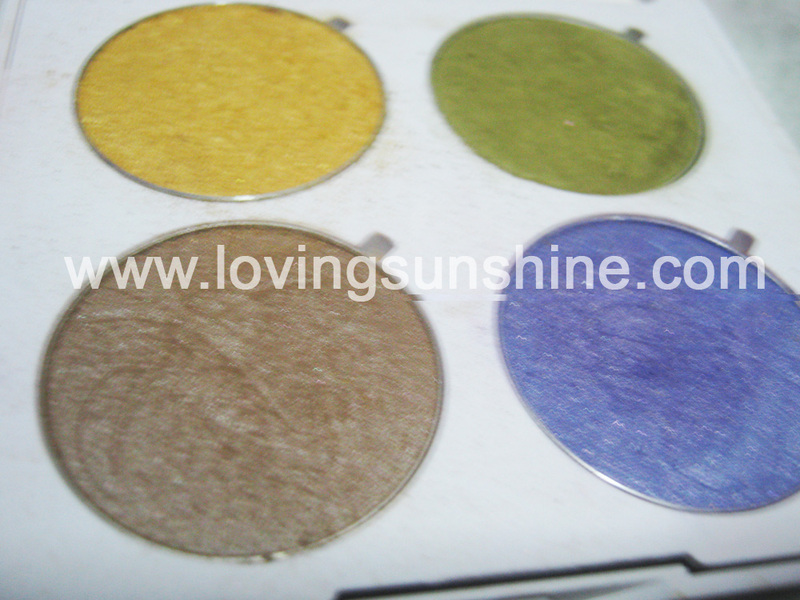 They do two things in one: define the eyes and brighten up the face with a hint of color. You can easily achieve a subtle smokey look with shimmer sticks or colored eyeshadows by simply smudging the color your applied on your eyes using a cotton tip. Mascaras are also on sale so if your budget permits, try to include a mascara in your eye make-up kit because swiping and curling your lashes can really add more drama and depth to those pretty windows. As for me, here's my Elianto haul yesterday December 14. Kinda went crazy but very happy because I ended up taking home the pretty basket you see in the picture--for free! My make-up haul today includes 2 lip liners, 2 lipsticks, one vibrant eyeshadow, 2 nail lacquers, 1 make-up refill palette in black, 1 pack of make-up remover tissues and an eyebrow defining pencil for nanay. Would you believe I only spent Php 1,078 for all of that! Super steal... so I ended up doing my favorite thing to do: swipe it! haha! Shop and get freebies! On top of my free basket this week, I also got other freebies last week. Read here. Because I found my freebie basket so cute, I stocked it with all my old and new Elianto goodies. I was surprised with how much Elianto products I use pala! I love their make-up removers. As you can see in previous photo, I use Elianto's Lip and Eye Pomengranate Make-up remover. 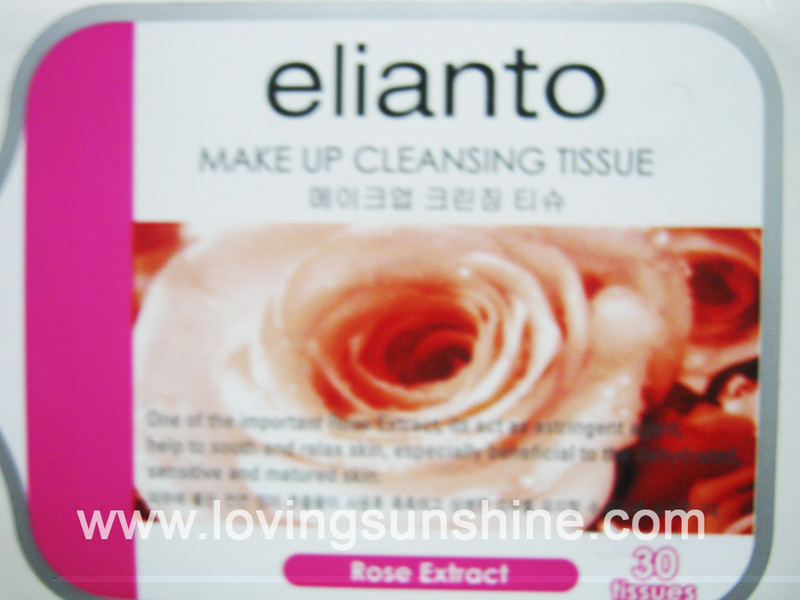 Other than that, I also LOVE their make-up cleanser tissues. 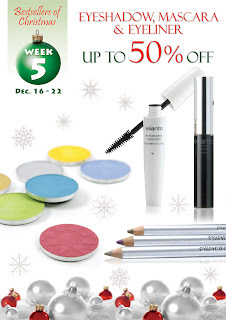 For this week, items are on 50% off! 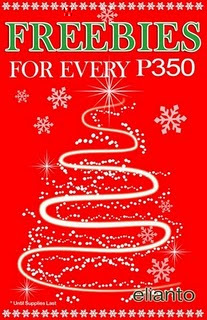 30 tissues for just Php 109! Currently using the sprakly green polish, for more Christmas spirit! I had so much fun. Was it obvious? How about you? 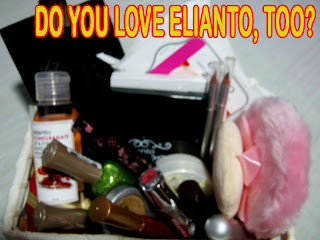 What is your favorite Elianto product? Please click the HUG button below to send me some love. Comment to if you like! I also love makeups. Cool info. hug! hug! for you. Merry Christmas.